The real question is why not? Why shouldn’t you choose a garage door company that is there for you anytime and anywhere in Wellesley and Norfolk County and that sell top‑of‑the‑line products? To reach us, dial 508-875-3508 and we will help you find the perfect garage door or schedule an appointment to repair or maintain your existing garage door. An emergency can happen to anyone, and this is why you should note right now, that Door Systems Metro Boston provides a 24‑hour emergency service for Wellesley inhabitants and surrounding neighborhoods and cities. Also, should you need to plan an appointment with a garage door expert, you can contact us, and we will reach you at your earliest convenience. When strolling around in the city of Wellesley, you will note the particular New England architecture and how many homes embrace this style. Wellesley is a city that probably counts as many homes as garage doors. Naturally, you want to have a garage door that will fit your home perfectly. Fortunately, we have something for everyone. Be sure to visit our showroom to get a closer look at what we can offer. For your garage door appearance, we have decorative accessories that will charm‑up their look. For your garage door functionality, we keep lots of replacement parts in inventory to be sure we can fix your garage door in no time. Call Door Systems Metro Boston now for all your garage door needs, we are qualified and ready! Safe, strong, silent, reliable are just a few of the adjectives we can use to describe LiftMaster garage door openers. They offer various options for residential and commercial/industrial applications no matter the room and the door size. Contact us now to buy your garage door opener: a choice you will never regret. At Door Systems Metro Boston, we care about environment and energy saving. Therefore we offer top‑of‑the‑line garage door that can help you save money on energy bills. 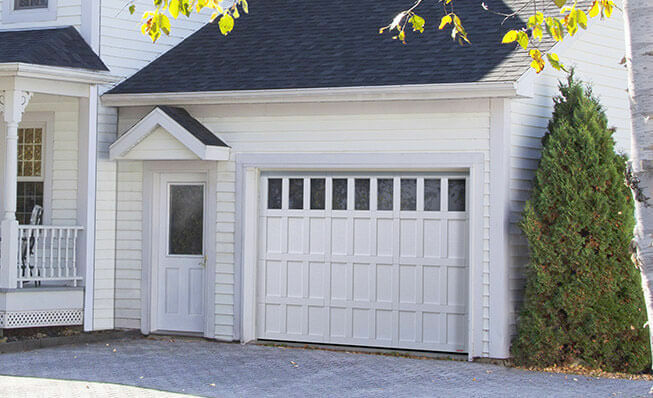 We offer high quality insulated garage door that perfectly matches Wellesley’s weather. Although we recommend an insulated door, we also provide quality non‑insulated or medium‑insulated garage door, so you are sure to find the door you need.